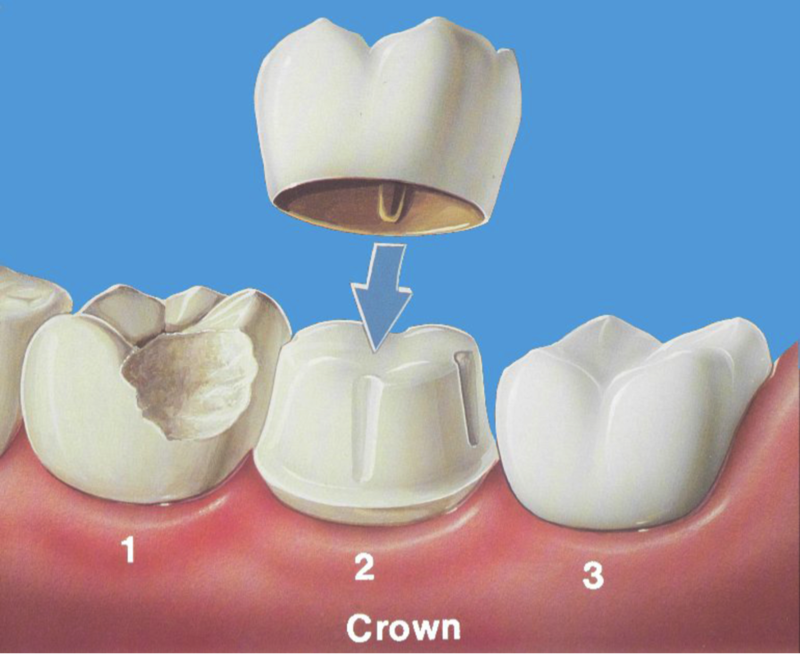 A cap or crown is a tooth-shaped "cap" that is placed over a tooth in order to cover the tooth and restore its shape and size, strength, and improve its appearance. 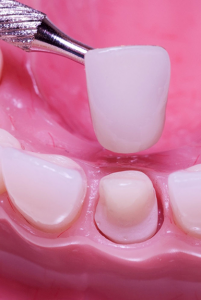 The cap or crown, when cemented into place, fully encase the entire visible portion of a tooth that lies at and above the gum line. Zirconia or milled crown which are digitally constructed by a dental laboratory. These milled crowns often are the best choice when aesthetics are most important as their translucency tends to improve their appearance and can be matched to the color of existing teeth. These crowns also do not reveal a black line like many PFM designed crowns. Find caps and crowns dentists near you!